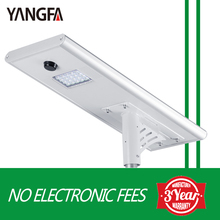 The surface of the luminaire is UV-resistant and anti-corrosion-resistant. The overall luminaire reaches the IP65 standard. Second, what factors affect the size of the light source? 1, the height of the pole. 2, the width of the road. Energy Saving: The use of solar energy for electrical energy conversion is inexhaustible and inexhaustible. High-power LED street lamps mainly use ultra-high thermal conductivity aluminum materials as heat-dissipating components. 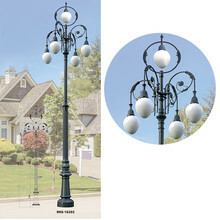 Street lamps are an indispensable part of our lives. 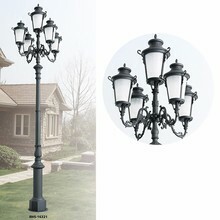 With the continuous development of science and technology, the function of street lamps is also increasingly powerful. During the daytime, the solar street light is under the control of the intelligent controller, and the solar panel is exposed to sunlight, absorbs solar energy and converts it into electric energy.